The general shape of these stockings is historically accurate for the Elizabethan era as best I can tell from photos of period hosiery. 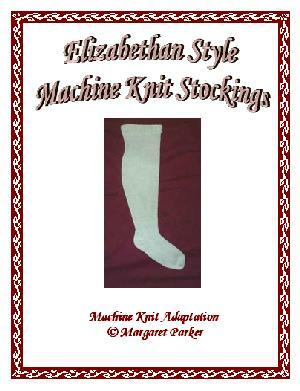 Even Henry VIII had knit hose, but they didn't really re-emerge again until the time of Elizabeth I, when she fell in love with the knit stockings made for her by Mrs. Montague. If you're into Civil War re-enactments, Old West re-enactments, SCA or RenFaires, then these are the perfect accompaniment to your costuming. Most machines can do this pattern. Available in WORD or PDF format.